Rheumatoid arthritis is the inflammation of the membranes that protects the joints from sudden pressure and injury due to autoimmune activation of the immune cells. Although drugs are available that may control the symptoms like serious pain, swelling and even loss of bone, but most of these pharmacological preparations are associated with a number of side effects that may range from nausea to anemia and liver diseases. Unfortunately, so far there is no curative treatment that may resolve the disturbing symptoms of joint inflammation. Though alternative medicine cannot replace the pharmacological preparations, it may help to reduce the dosage of the drugs to minimize the risk of complications. So what could be the natural remedies for rheumatoid arthritis? 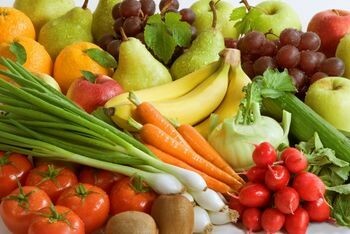 Folic acid, a B vitamin which is responsible for the production of red blood cells. If you’re taking methotrexate, you will be suggested to take folic acid to reduce the side effects of the drug. Corticosteroids like prednisone may cause bone-loss.If you are taking steroids to minimize the frequency of inflammatory attacks, you should consider calcium and vitamin D supplements to maintain healthy metabolism of bones. Consult your doctor to know how much you actually require. 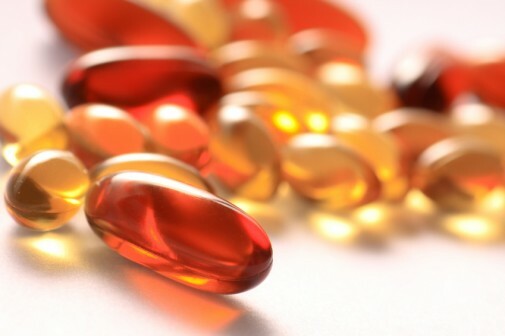 In some people with RA, fish oil and gamma-linoleic acid minimize the need of painkillers. It is also available commercially as evening primrose oil, borage seed oil or black currant. Heat and cold treatments are suggested by many doctors to decrease the symptoms of rheumatoid arthritis. A hot compress can stimulate blood and relax the muscles. 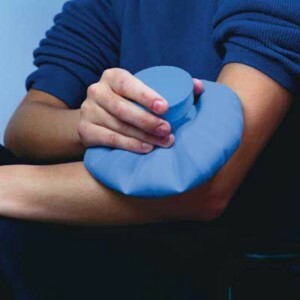 A cool compress or an ice pack may be used on the affected area during an RA flare-up to reduce the swelling and pain. Cold fermentation also decreases the inflammation and pain in the joints. You should not do this treatment excessively. There should be at least a gap of 30 minutes after a 15 minute treatment. A warm damp towel or wet heating pad may be used effectively for heat therapy. Microwavable hot packs are also preferred by some people. However, make sure to take ample caution to prevent skin burns. Standing in hot water shower may also be used as a source of heat therapy by letting warm water flow over the achy inflamed parts of your body. This may also help reduce the intensity of pain and inflammatory swelling. Sitting in a hot tub is an effective way to relax muscles. (Note: Avoid using spas or hot tubs if you are suffering from moderate hypertension, cardiovascular illnesses or if you are pregnant). Some types of exercises are proved safe for the patients of RA. The types of exercise that can be performed by people with RA are stretching, strengthening and conditioning. Stretching is the simplest type of exercise. Regular stretching is the basis of any kind of exercise to be performed that aims at improving the stability and flexibility of the joints. It involves lengthening of muscle fibers by holding and stretching of joints or muscles and holding the position for a few seconds to a couple of minutes. Strength exercises increase the muscles' endurance and power due to healthy exposure to resistance. This may involve training with weight or other methods of increasing muscle tension. By these exercises, the amount of pain-free work increases which eventually increases the strength of soft tissues and the muscles in long run. Conditioning exercises (also popularly referred to as aerobic exercises) are extremely popular in RA patients as well as patients suffering from other forms of arthritis. It also helps in improving the cardiovascular functions. There are uncountable benefits of these exercises, such as besides improving the health of heart and blood vessels, conditioning training also protects the individuals from disability and also improves the mood. Good conditioning exercises for RA patient incudes walking, bicycling, swimming, yoga etc. Acupuncture is an effective ancient eastern way that stimulates certain pressure points of the body. In this form of alternative care, an experienced practitioner introduce needles at certain pressure points for a few minutes to a few hours. The aim of acupuncture therapy is to promote the flow or balance of qi or life force, throughout the body. The supporters say that the acupuncture causes the body to secrete hormones like endorphins, which make the body feel good; thereby also reducing the intensity and severity of pain. While disbelievers say that the benefits are only because of the placebo effect of needle piercing. There are a very few studies that say that acupuncture is useful for RA. 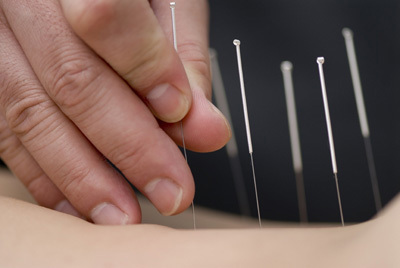 There are no side effects of acupuncture unless you have a fear of needles or the procedure. The massage may be beneficial depending on the intensity of the pain. It has been observed that carefully applied massage is fairly effective at relieving the muscular tension, releasing the joint stress and making you feel better and relaxed. It is imperative to keep in mind that massage efficacy varies depending upon different individuals, intensity of RA flare and severity of symptoms. Before making an appointment with a registered therapist, make sure that your therapist has prior experience of handling patients with rheumatoid arthritis. Try to get adequate and restful sleep (at least 8 hours) every night. Additionally, you can also treat yourself to a 2 hour nap in the afternoon if you don’t get enough sleep at night. Certain people with RA need more frequent napping (especially during flares). Deep breathing and relaxation exercises may help release the stress and help you in relaxing. Tension may be released by meditation also. Studies show that the food eaten affects the inflammatory responses and reactions within the body by influencing biochemical environment of the body. Experts believe that intake of processed foods is associated with aggravation of inflammation that may lead to frequent flaring. The diet rich in veggies, spices, olive oil, healthy portions of whole grains, fresh organic fruits, wild-caught fish, organic beans, natural herbs and tea may exert excellent effects on the health of patients living with RA and other inflammatory diseases. Red meat, processed flour, excessively high quantities of sugar and saturated fats are not recommended if you have RA. Eating too much also causes inflammation as fats cells churn out different inflammatory chemicals that makes RA even worse.